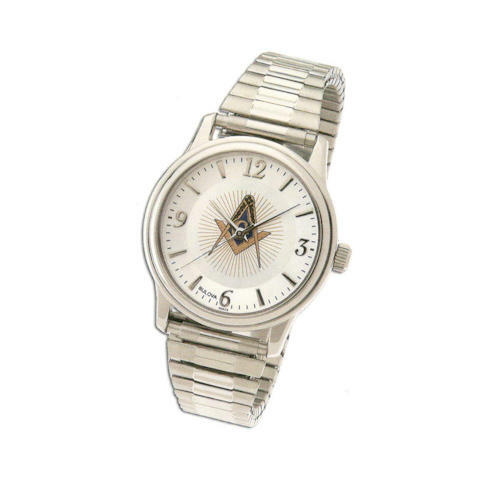 BULOVA Masonic Watch. This watch has a round silver dial with Arabic numerals with a silver tone case and a stainless steel foldover bracelet. It has a Mineral glass crystal and is water resistant to 30 meters. The Case size is 38mm.